Volunteer to ride (be a buddy) with a hand-cyclist. Proceeds from the event will go to Achilles International FREEDOM TEAM OF WOUNDED VETERANS. The Achilles International Freedom Team of Wounded Veterans is made up of amputees, paraplegics and quadriplegics who train and compete in mainstream marathons and cycling events on hand-pedaled tri-cycles. The Freedom Ride begins with a lap around the Speedway track. Cyclists in South Florida and around the country are invited! Routes include 12, 29, 65 and 100 miles courses. The century & metric century head to Key Largo and back. Routes are SAG supported. The local chapter of the Honda Gold Wings Motorcycle Club will provide traffic calming. Rest stops and lunch are included with registration. Please distribute the information to your firm employees – you would be surprised at how many participate in these cycling events. Our Chapter’s involvement with the Freedom Ride will allow our members, business partners, firm members and local vendors to spend a day serving food to the anticipated 1000 + riders, informing the general public of our Chapter at our tent and riding bikes together in the South Florida area – while at the same time raising money for Achilles International FREEDOM TEAM OF WOUNDED VETERANS. For more information contact Carole Sheets at csheets@mmhlaw.com or 305-613-6163 . REGISTRATION INFORMATION ON ACTIVE.COM WILL BE POSTED BY AUGUST 15TH. UPDATES WILL BE POSTED AS ADDITIONAL INFORMATION IS AVAILABLE. 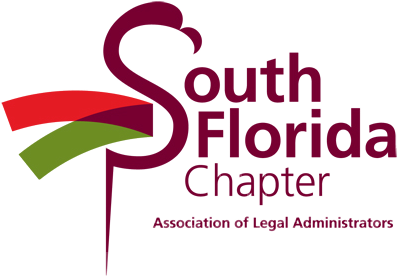 Copyright © 2013, Association of Legal Administrators, South Florida Chapter, All rights reserved.